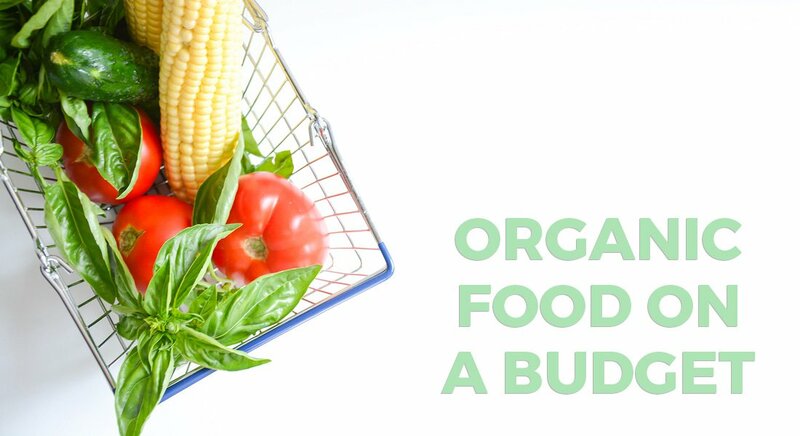 Whenever I talk about the importance of eating organic and buying healthier foods, usually the first thing people say is “I want to eat organic but I can’t afford it.” But the reality is, there ARE ways that you can make it more affordable. Keep reading to find out how! There are ALWAYS sales going on at grocery stores. You just have to be a little more proactive about finding them! Find the coupon book first thing when you walk into the store. Follow them on social media to see if they are doing any promotions. Look for the little “sale” tags in the aisles. 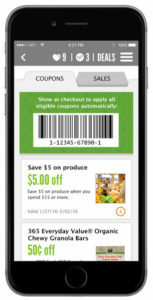 If you shop at Whole Foods, you can download their app for coupons and deals. When you cut out the middleman (a grocery store) and buy directly from a farmer, it’s usually a lot cheaper. When you buy from a grocery store, the prices are higher because they need to make a profit. Farmers markets are awesome because you know where your food is coming from and are supporting them directly. Buying local is the best! I looooooove Thrive Market. You buy a yearly membership and you get access to TONS of healthy products, not just food, at a discounted rate (about 25-50% less than retail price). They keep a tally of how much money you save when you buy from them vs. retail price. It’s awesome! You can even do a free 30-day trial and quit if you don’t like it. I wrote a blog post all about it if you want to learn more about the benefits. Door to Door Organics is an organic food delivery service. They have an entire sale section that you can shop from. If they don’t deliver to your area, just search online for an organic delivery service that does. There are a ton of them popping up, and you can usually get discounts for referring friends. CSA stands for Community Supported Agriculture. According to diynatural.com, “When you join a CSA, you are essentially buying a farm share. Members (you) pay in advance for a growing season so farmers have operating capital. During the growing season, members receive a box of produce from the CSA on a regular schedule (usually once per week).” Because you are buying directly from farmers, the food is much cheaper than a store. Ideally, you would buy all of your fruits and vegetables organic. But there are some that are safer to buy non-organic than others. Instead of diving in and buying ALL organic, this is a good way to transition. 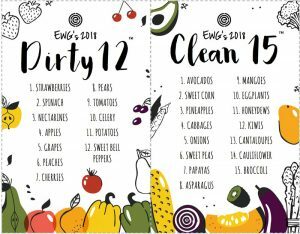 The Dirty Dozen are foods that you should ALWAYS buy organic because the conventional ones have really high pesticide residue levels. The Clean Fifteen are generally safer to buy conventional because of lower pesticide residue levels. Learn more from EWG. Got a green thumb? It’s more work than just buying from a grocery store, but wayyyyyy cheaper in the long run to grow your own organic food. Find joy in making more meals at home! Eating out can be really expensive, and really unhealthy. Save that money (and calories!) for better, healthier food to cook at home. I like to buy ingredients for making a pizza at home instead of getting one delivered. Much healthier and cheaper! Compared to fresh food, processed food is usually a lot more expensive. Those are the items that can add up really easily on your bill! Hop on Pinterest and look for ways you can be more DIY for things like salad dressings, coffee creamers, almond milk, kombucha (see my post about how to make it! ), etc. Those are usually cheaper to make yourself than to buy already made. Look for generic store brands like Whole Foods 365 items instead of the more expensive name brands. Usually the ingredients are the exact same, you’re just paying for the brand! Although eating fresh fruits and veggies is best, the frozen stuff is usually cheaper, especially for things that are not in season. You don’t need to go to Whole Foods or Trader Joe’s to buy organic food. It’s becoming so popular now that most stores have organic sections, even if they are small. Stores like Aldi and Costco usually have pretty decent organic selections and can be cheaper since it’s at a regular grocery store. Yes, it’s way easier to buy the little baby carrots or pre-washed spinach. But did you know that those items can cost up to TWICE as much? Foods like blueberries can be super expensive when they are not in season. So stock up when they are in season and on sale, and freeze them until you need them! A co-op is basically a grocery store, except you pay a yearly membership and the store provides local foods directly from farmers. Often times they will have sales where only members can get discounts on their items. A great way to support local farmers and businesses in your area and receive super fresh, organic food. The bulk section is where it’s at! You can stock up on things like flour, rice, dried beans, popcorn, etc. and store them in airtight containers for whenever you need them. The bulk method works for things like chicken too: instead of buying a pre-cut thigh, for example, you can buy a whole chicken and freeze the other parts that you don’t immediately need. Did you know that Americans waste an estimated 1,400 calories of food per person every day? It’s so important to only buy what you need so that you aren’t literally throwing away your money on wasted food. Have leftover chicken from a meal? Throw it in some salads for the week. Find recipes that use ingredients you have sitting around, instead of throwing them away. 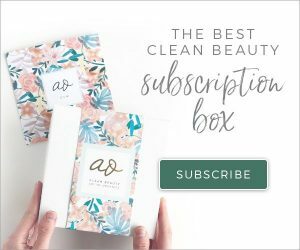 I talked about this in my Beginner’s Guide to Green Beauty on a Budget post too. 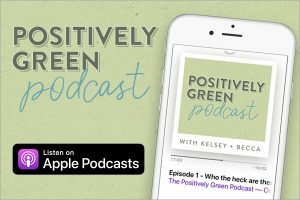 You probably don’t want to hear this, but when it comes to buying organic food, you might have to change your point of view. Try to think of buying organic food as investing in your health and decreasing medical bills in the long run. It’s worth it! Years and years of eating conventional foods ridden with pesticides and GMOs will add up in your body and take a toll on your health.